"Peg-legged" Peter Stuyvesant was the last director general of New Netherland. Born in the Netherlands to a minister, he joined the West India Company when he was a young man, and became the director of the Dutch West India Company’s colony in Curaçao in 1642. That’s where he lost his leg, in an attack on the Spanish-held island of Saint Martin. Peter Stuyvesant had a reputation for being a tough, rule-bound leader. In 1647 he began his tenure as director general of New Netherland, immediately attempting to reform the colony by regulating liquor sales, and punishing those who were not members of the Dutch Reformed church. As a result of his strict rule, the people of New Amsterdam put up little resistance when English warships showed up in 1664, and Stuyvesant was forced to surrender the city to the English. Peter Stuyvesant returned to Holland, but later settled in New York on his “Bouwerie.” He died in 1672, and his body is entombed in St. Mark's Church in-the-Bowery on 10th Street and 2nd Avenue, which sits atop the site of the old Stuyvesant family chapel. 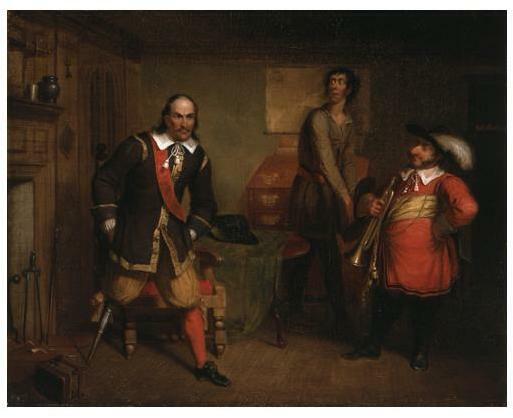 Video: How Did "Peg Leg" Peter Stuyvesant Lose His Right Leg?